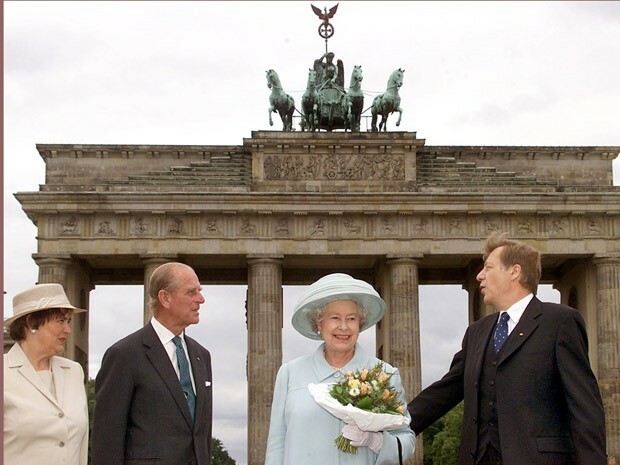 To follow up on yesterday's post on pre-1989 Anglo-German relations, here is a quick look at post-reunification events. 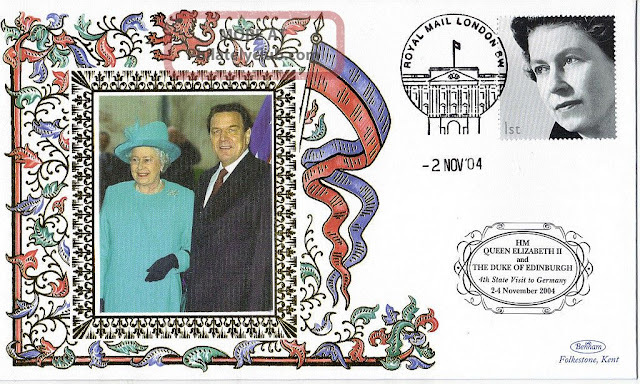 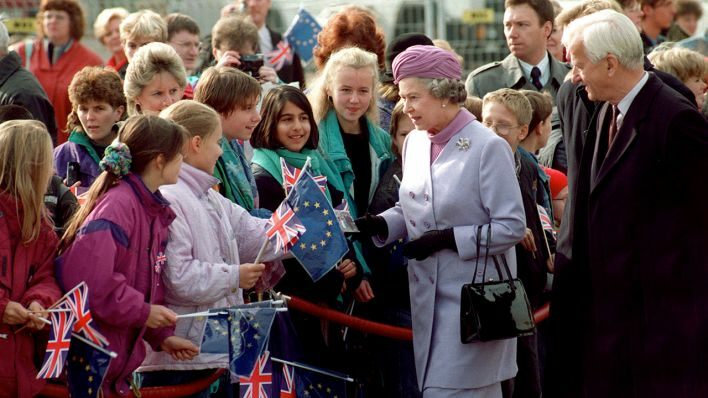 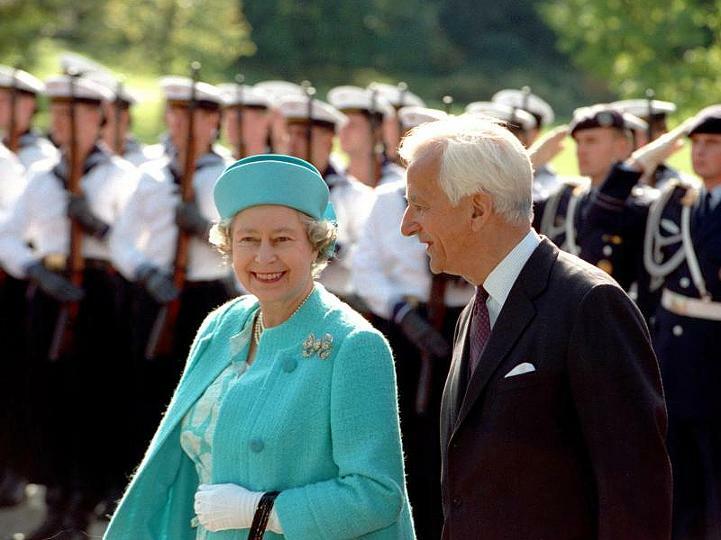 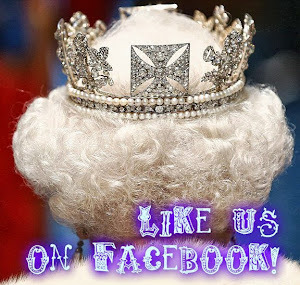 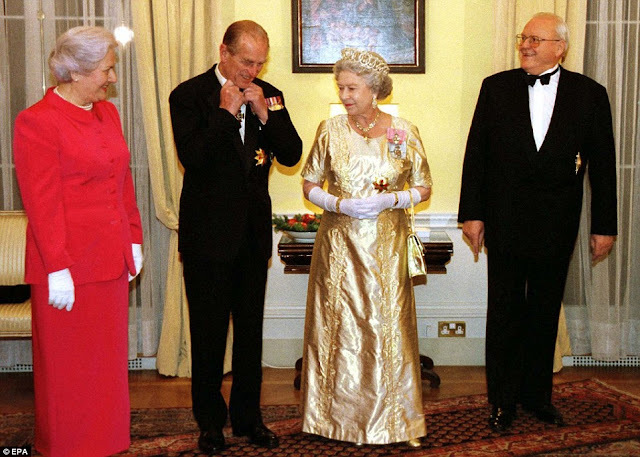 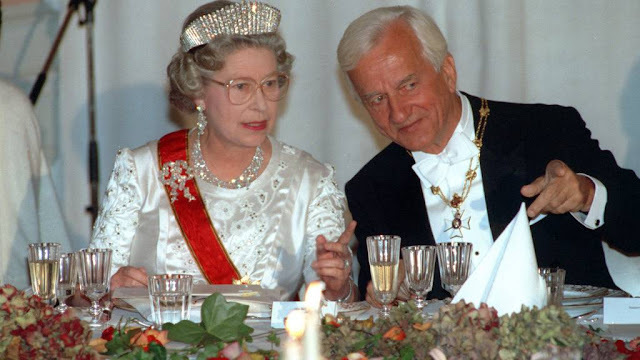 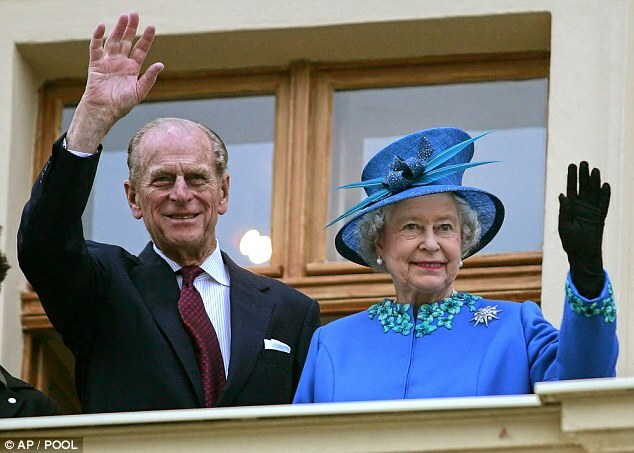 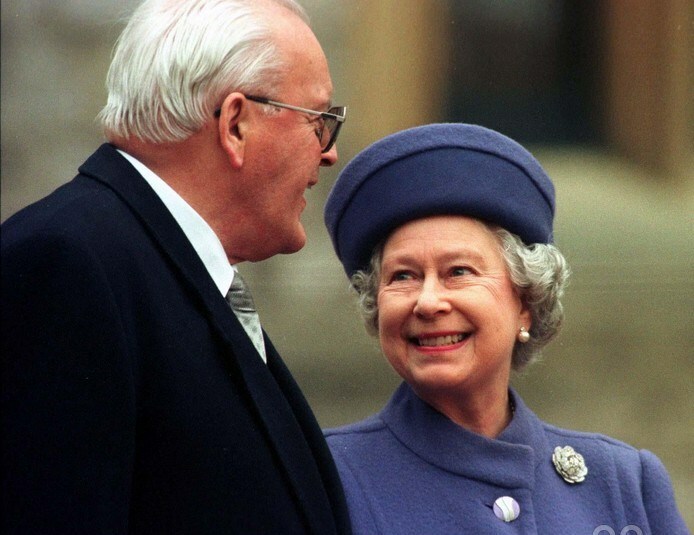 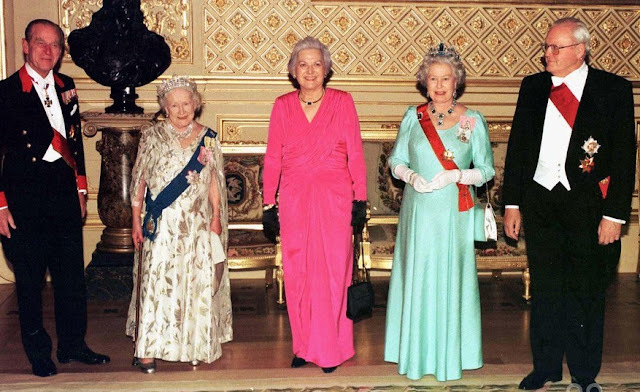 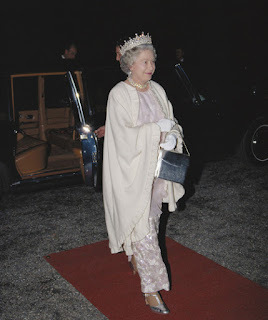 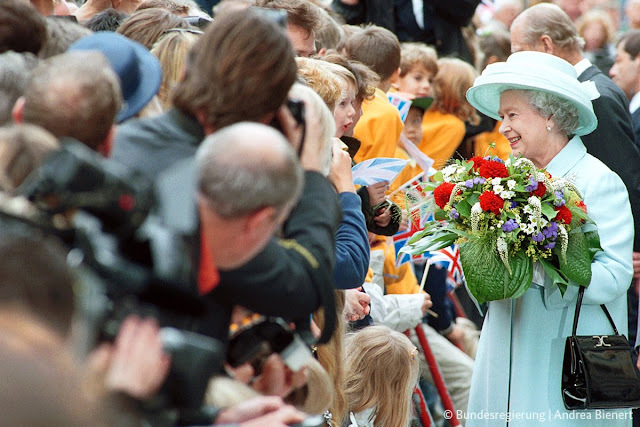 From 19 to 23 October 1992, the Queen and the Duke of Edinburgh paid their first official visit to a unified Germany, at the invitation of President von Weizsäcker. 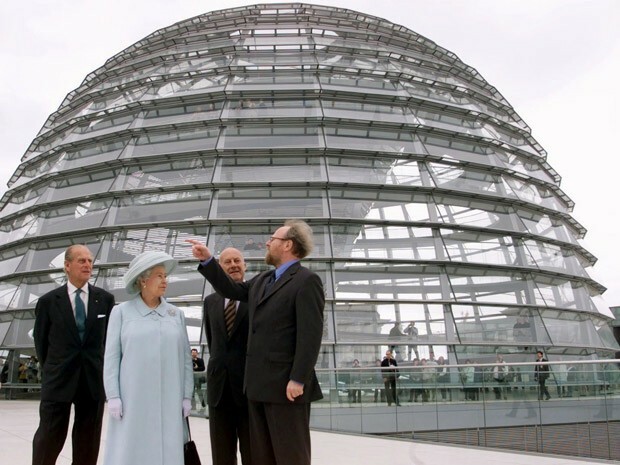 Predictably, the tour touched former East German cities of historic significance, like Leipzig and, most notably, Dresden, besides Bonn and Berlin, which now the royal couple could visit in its entirety. 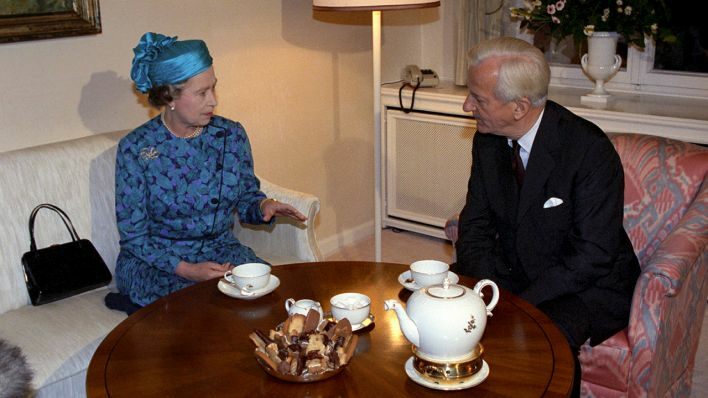 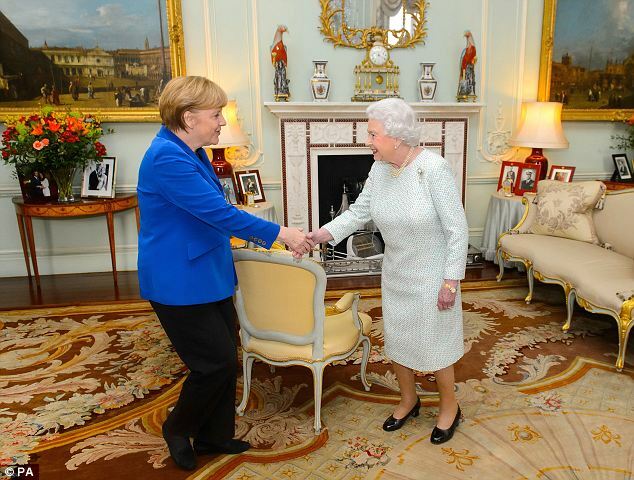 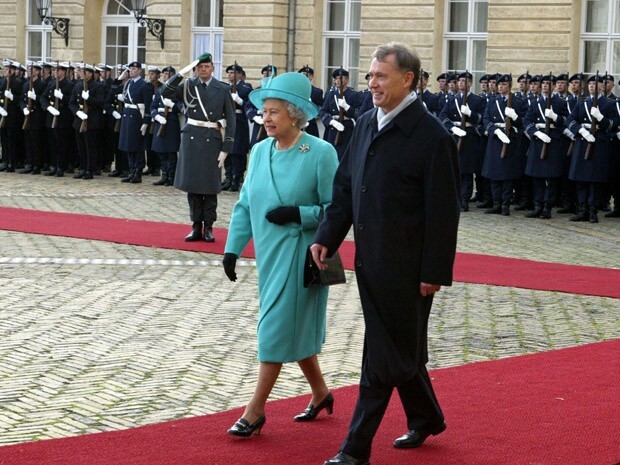 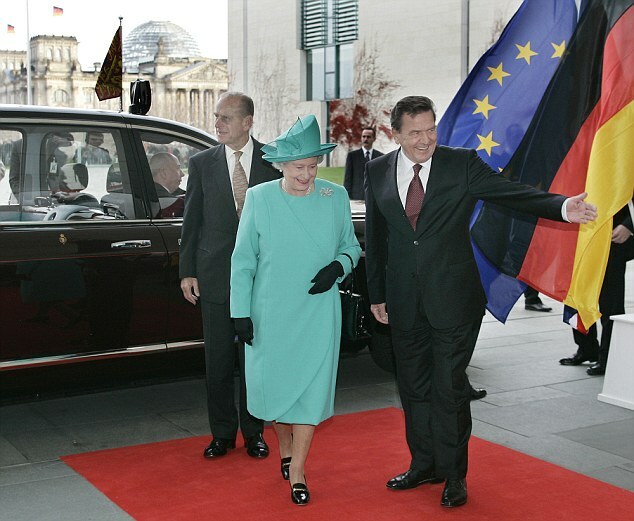 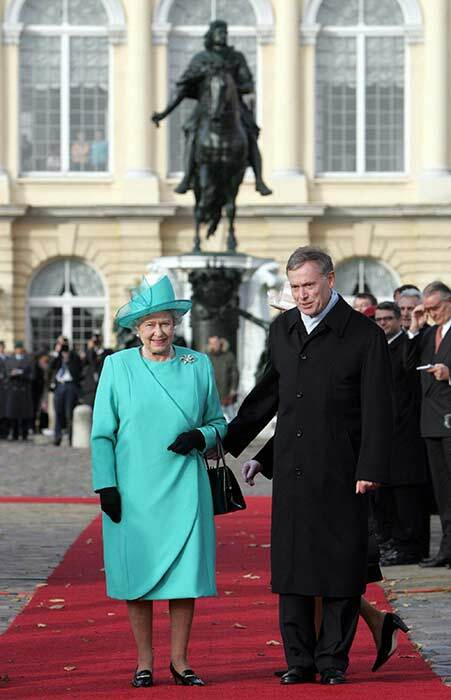 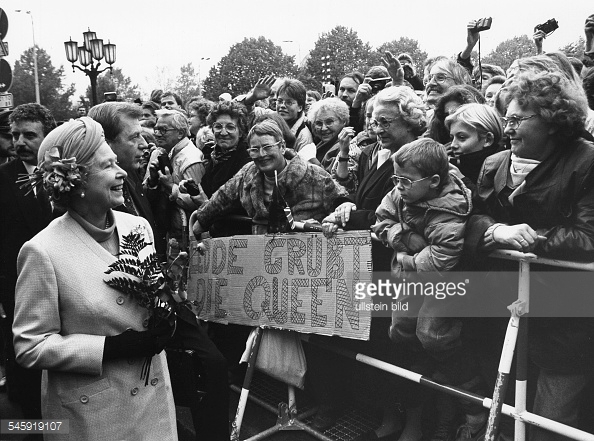 The Queen is received by President von Weizsäcker upon arrival in Berlin. 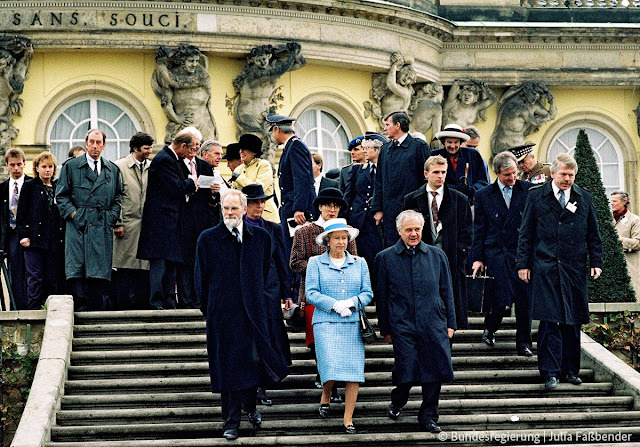 Attending a banquet at the Schloss Charlottenburg in Berlin. 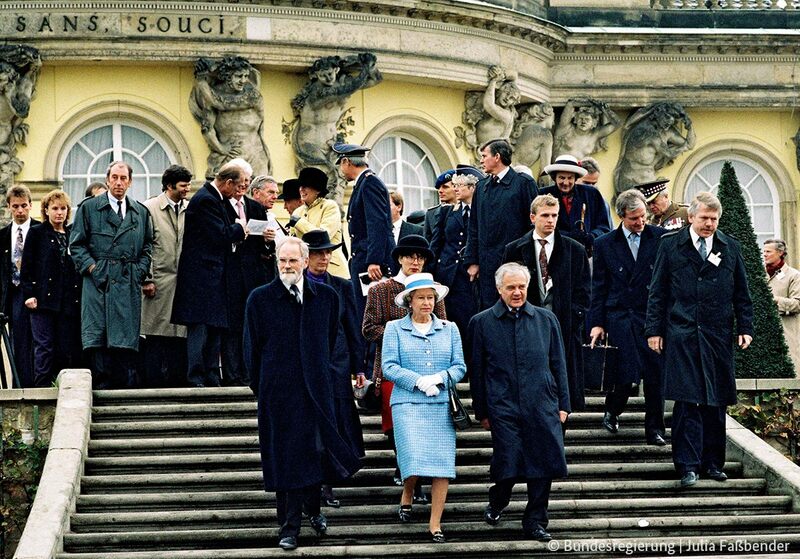 On the steps of Schloss Sanssouci, Potsdam. 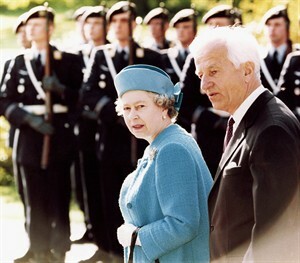 Reviewing the guard of honour with President Köhler. 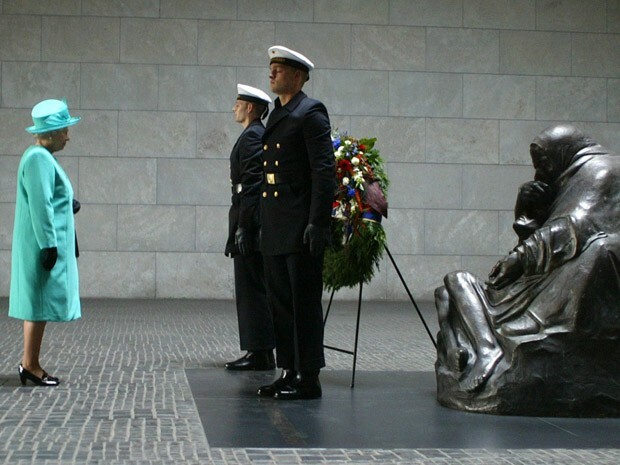 Laying a wreath at the Central Memorial for the Victims of War and Tyranny (Neue Wache) in Berlin. 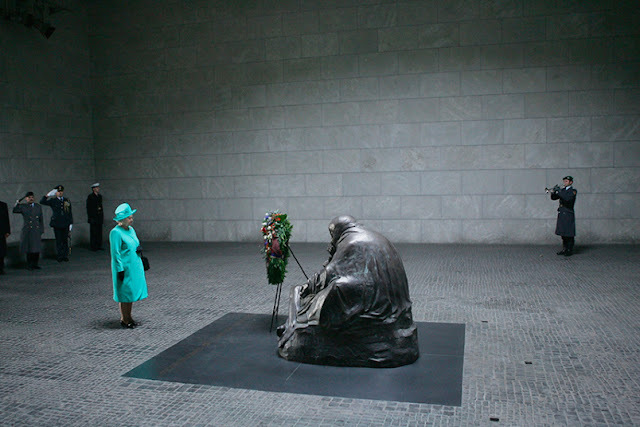 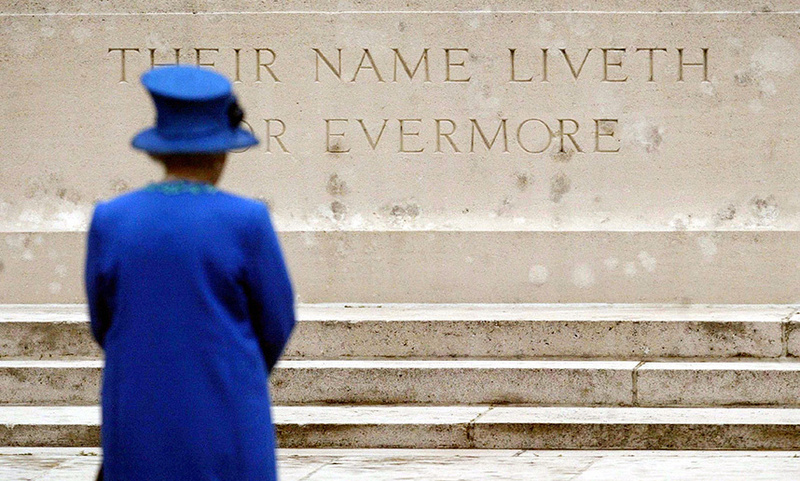 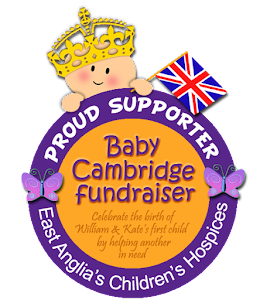 A visit to the Memorial is scheduled for 24 June 2015. Watching a fashion show during a lunch reception in Düsseldorf. 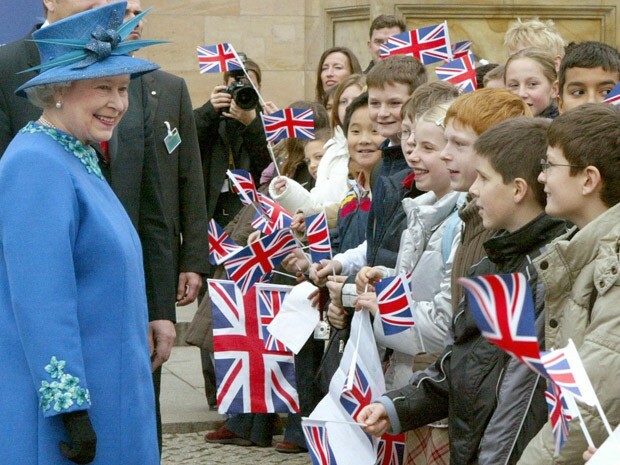 Meeting schoolchildren after a visit to the Alte National Galerie in Berlin. At Stahnsdorf Cemetery, where British and Commonwealth soldiers killed during the First World War are buried.